I can’t even explain how glad I am I ended up reading this series. I wish I would have read the books while I was in middle school, but seriously, they are so good. I have loved every single one of the Percy Jackson books, and this is no exception! Again, most of this book takes place during the battle in NYC, so it had a lot of action and battle. I don’t want to give too much away because this is the last book in the Percy Jackson series, but I would seriously recommend reading all of the books. Even if you don’t love the PJO stories, this last book is worth it. I loved the Percy and Annabeth scenes; they were soooooooo cute. I think the Percabeth is one of my biggest ships because they are seriously just so perfect for each other. She calls him Seaweed Brain and oh my gosh it’s so cute. I wish there were more scenes with them, but I can’t complain because the ones I had were great. Percy bathing in the River Styx and being tied to the mortal world because of his love for Annabeth. He loves her friendship, and that’s the only thing that keeps him from drowning and it’s just so flipping cute. Very thankful that I’ve read these books, and can’t wait to find out what happens to the characters in the next series! PS. Please read these books. I promise they’re worth the hype. Huge thank you to C.L. Mannarino for sending me a copy of her book! I love getting to meet new people through having a blog! Scott is part of a fairly average family living in Northam, Massachusetts. Scott is an average boy; he goes to school, he has a girlfriend, he gets bullied a little bit. Everything in his life changes when he goes to a meal with his father and his coworkers and he sees Maria for the first time. He doesn’t understand why, but he can’t stop staring at Maria, and he can’t stop thinking about her. He feels that there is something a little off about her, but he ignores it for awhile. I read this book fairly quickly *as in three days* because it was a very addictive story, and you wanted to know what was going to happen next. I, however, do not enjoy vampire stories very much. I’m perfectly fine with a vampire being in a story and not having the main theme, but I just don’t like reading stories only dealing with vampires. So, I’m assuming from the synopsis and the beginning of this review you’ve realized that Maria is the vampire. She’s a very very typical vampire; gorgeous and mysterious. I don’t love super mysterious characters because it feels like you don’t really get to know them that much, so I didn’t really like her. I understand you weren’t supposed to like her because she’s the “bad guy,” but she just seemed fairly blah. Scott was a good character to have as a protagonist. He was different than most teenage boys; he was a little overweight but he had a girlfriend, he got bullied a little bit by a certain boy in his class. He wasn’t a typical strong character, so it was nice to read from his perspective. I don’t know how I feel about the ending. I think the way you become a vampire is super self explanatory, so idk what was going through everyone’s minds near the end, but whatever. It’s not how I would have ended the book, but it leaves room for the next story to begin. 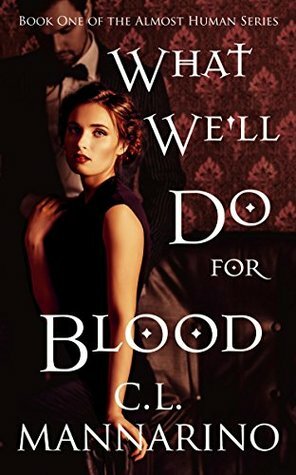 I feel like if you like reading books about vampires you would have enjoyed this book, so try it out if you like reading about those who drink blood from human beings. Again, thank you to C.L. Mannarino for sending me a copy of her book! November Rain follows two points of view; Serena and Daniel. Both are parts of different flocks in Vendona. Serena is the first escapee of this scary sounding institute-esque testing facility, and she meets Daniel. Immediately she is scared of him because he’s willing to help her, but then she learns to not be scared. 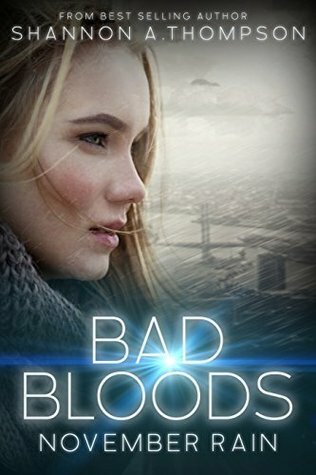 This is the first installment of the Bad Bloods series and I’m excited to read the final installment! I love Thompson’s writing style; it flows nicely, and there is just the right amount of description. I do have to say, though, I was quite confused throughout this book. I had to reread several parts because they were somewhat unclear. I am assuming it will be easier to understand after finishing the second book, but I was a little confuzzled near the beginning. I usually get confused when there are a lot of different names in a short amount of time, so that is probably the reason. I love slow introductions of characters so I can get to know them, so I don’t know. I don’t have a lot more to say about this because it was quite short. I enjoy paranormal, so I’m excited to learn more about everyone’s different bad blood powers! I did enjoy this book, it was a quick read, and I’m SO SORRY IT TOOK SO LONG FOR ME TO READ IT! I have had this since June! I know, I’m awful. Anyway, I would highly recommend checking something out from Shannon, she’s a beautiful writer! Her Timely Death Trilogy was my favorite! Guys. Please read this series. Huge thank you to John for sending me this book for review! I really enjoyed it, and this has been my favorite thus far!! Alright, wow. 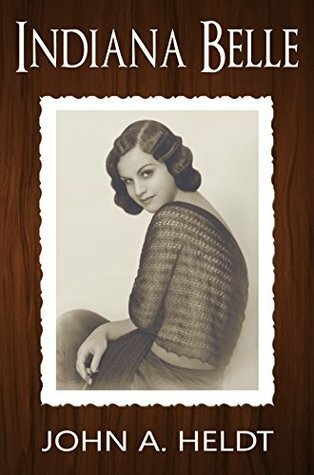 So, Cameron Coelho learns of a girl from a mysterious murder in 1925 from a beautiful photo of her. He finds more information out about the woman depicted in the photo, and finds out her name is Candice Bell. Candice is related to the infamous Geoffrey Bell from the American Journey series. Cameron goes and finds Professor Bell and talks him into letting him go back to the 20s to save Candice. Of course he doesn’t tell him he’s saving her, but makes a deal with him to find some more of the magical crystals. Cameron and Candice meet at the newspaper office, and he’s immediately taken with her; he had fallen in love with her photo, so he knew they would click. They form a beautiful relationship that was kind of rushed at the beginning of the story, but ended up being perfect and great. This book was so great, you guys. I highly recommend reading this series. I loved that it was in the 20s because I’ve always been taken by the Gatsby era. I love 20s fashion and how women are getting more freedom; it’s great. I loved seeing the daily life of Candice through her writing stories for the paper up until the end of the book. There were some things that happened near the end of the book that were so surprising. I literally had no idea about who the criminal was in the story. Very great addition to the story. My favorite part about this book was Cameron and Candice’s relationship. Oh my gosh, they were literally goals. I can’t even express how adorable they were and how precious they were. The one scene where she brings him tea. Not expecting it and made my heart flutter. So good. Also, the ending was so precious. Please read this book just so then you can experience a super cute romance. One of the coolest parts to me was when they went to the year 2041. I liked the way the explained the new form of government. It was an anti Democratic and anti Republican thing happening. Now, it didn’t end well, but it’s just cool because I’m learning about the constitutional convention and other similar things in my Government class. Very relevant to my life at the moment. There were also a lot of mentions to Iowa in this book. It’s always strange to me when people reference Iowa in books because it seems like a very random place, but whatever. Check out this book on Amazon! Huge thank you to John A. Heldt for sending me this book to read and review! I’m sorry it’s taken so long to review it, but I’ve been in a crazy part of my life lately. So, this is the second book in the American Journey series. They are time travel novels surrounding the same professor and his ability to travel back in time. This second installment to the series was just as good as the first. 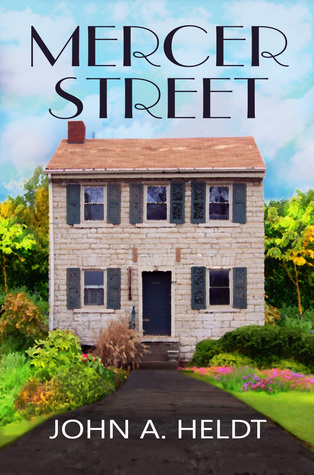 September Sky was the first book, and Mercer Street had a whole different cast of characters making it a fun read. Elizabeth, Susan, and Amanda are the main characters of this book, and they meet the Time Traveling Professor whilst on vacation in California. They find out some information about him, and then decide to travel back in time to 1938, the year Elizabeth was born. The trio travel back using a limestone cave and some magical crystals, and decide to take a roadtrip across the United States. This is a map that I created on Google about their road trip. As you can see, they do a lot of back and forth around the country. Most of the story takes place in Princeton, New Jersey, where Elizabeth was born. Amanda and Susan go willingly back to this time period and make friends. Specifically male friends. Whom they fall in love with…. Hmm. Professor Bell had only a few rules, and one of them was to not bring back a living souvenir to 2016. Will they be able to follow this rule? Hmmmmmmm. This book contains romance, time travel, road tripping, supposed German spies, friendly neighbors, and a charming author. Please help to support John and his writing endeavors by purchasing his books from the Kindle store on your Amazon device! You guys. This book is only $4.99. Overall I really enjoyed this book and can’t wait to pick up the rest of the series. Again, huge thanks to John for sending me a copy! 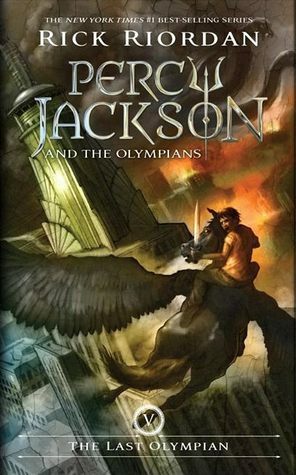 Percy Jackson is a series I wish I would have read earlier, because I’ve had SO MUCH FUN reading them. Middle grade is my favorite genre as of late because you just get to go on an adventure with cool middle school/high school students. Oh my gosh it’s great. This has been my favorite of the series so far; I loved reading about when they were in the Labyrinth. 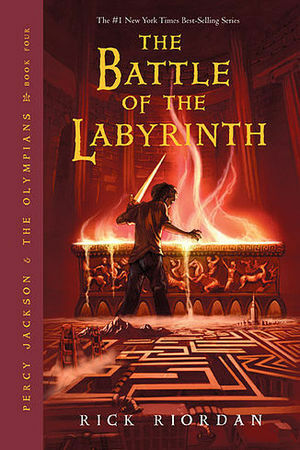 Also, it helps that I know some about Greek mythology because Riordan did such an amazing job writing the characters. I love meeting the new characters and knowing the stories behind them. It’s pretty sweet. I fricking love Percy and Annabeth together. They’re both such strong characters and when you put them together they’re absolutely perfect and beautiful. Rachel just needs to leave the story because Percabeth has finally sprouted. One of my favorite parts from this book was when they were in the Labyrinth and they found Pan for Grover. It was so magical and it just made Grover a much more important character in the story. I thought it was so sweet and was really a “growing up” moment for all the main characters. If you haven’t read this series you really need to. I started reading the final book right after I finished this one, and I can’t wait to see how it ends. I am so excited to read all of Rick Riordan’s books! I PROMISE I WILL GET ALL THE REVIEW BOOKS DONE THIS MONTH!